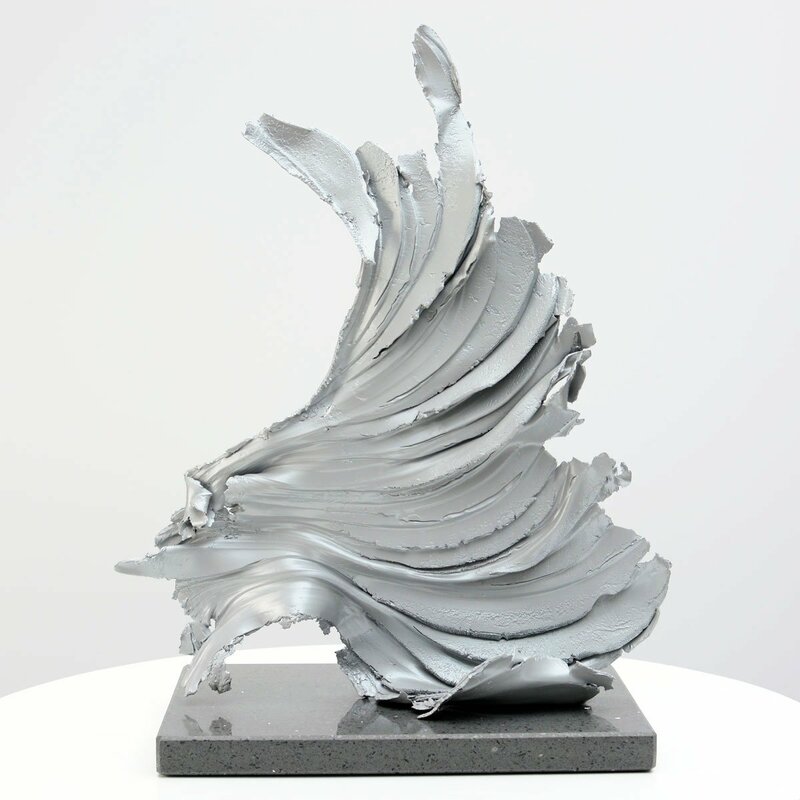 This is an aluminium sculpture winds gently upwards and is finished in a lovely light grey with a tiny metallic flake. This aluminium based sculpture was formed by hand and then given a chrome effect finish. 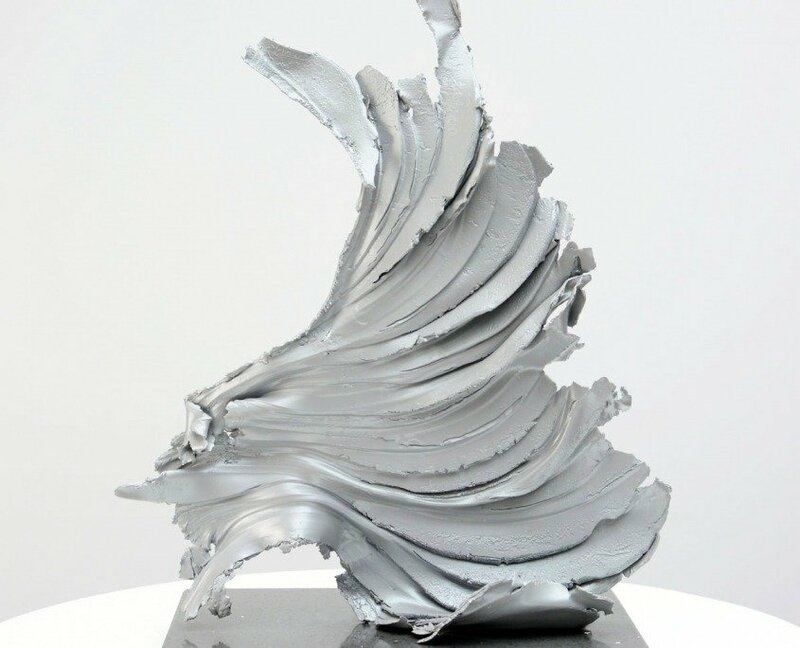 The result is a striking and effortless original piece of art with a reflective silver finish. Complete with a hand cut and polished granite display plinth and an aftercare accessory kit.